Because nobody likes to throw away good food. We've all had the misfortune of opening the fridge to find our precious box of blueberries has been frozen. It could be fruit, vegetables, meat, or even dairy—accidental fridge freezing can be disastrous. While you may still be able to eat your perishables (especially if you're cooking them), the expansion of water molecules caused by freezing may completely alter the taste and texture of your food. 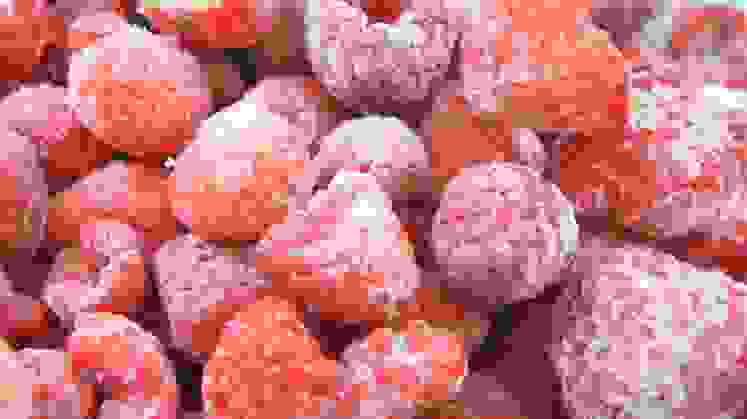 Freezing can completely alter the taste and texture of your food. But before you pull your hair out and curse your fridge manufacturer, there are a number of steps you can take to prevent accidental food freezing from ever happening. Whether it's the top shelf or the crisper drawer, we'll walk you through each step and precaution. We can't guarantee you won't have to call a repairman, but at least you'll be able to rule out the more obvious problems. Before you do anything, check your fridge's temperature settings. 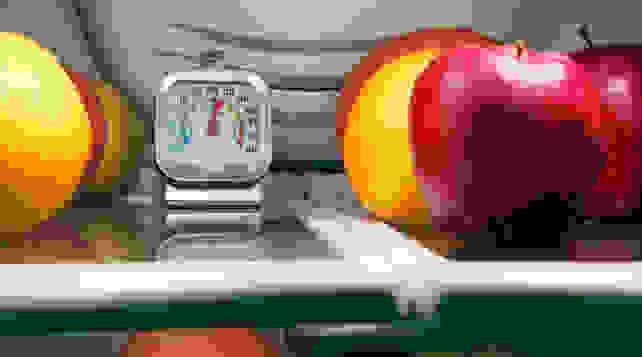 The dial isn't always the most accurate method of regulating temperature, so even if it seems like it's sufficiently high there may be other factors conspiring to freeze your food. If the temperature setting is too low, then you'll obviously want to turn it up a bit. Just be careful you don't set it too high. (The ideal temperature range for the interior of your fridge is 38-42°F.) The last thing you want is for your food to get too warm and become a haven for bacteria and other opportunistic microbes. If your fridge is getting old or not that good to begin with, using a separate thermometer may give you a more accurate reading. You can find cheap analog thermometers or fancier digital wireless versions that allow you to monitor the temperature without even opening the door. Check the temperature settings on your fridge. They might be too low. If your food is still freezing even after turning up the temperature settings, try to determine the area of the fridge where it's occurring. 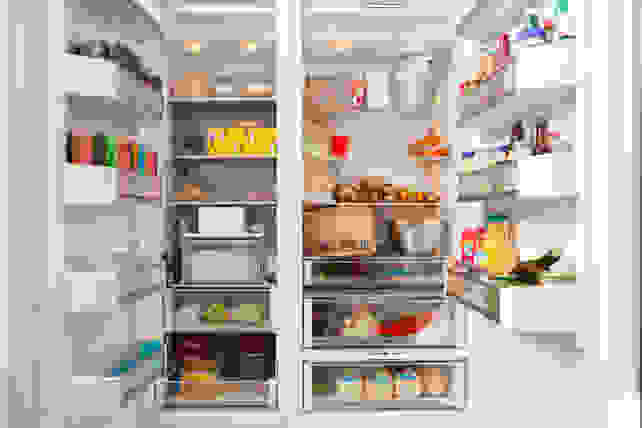 According to GE, the most common problem areas are the top shelf, the bottom of the fridge (crisper drawers and meat pans), and door shelves. As long as it's confined to one area, it should be pretty simple to remedy. All you have to do is keep your most temperature-sensitive foods out of that area. However, if the fridge cavity overall is still too cold, there may be a more serious issue at hand. Refrigerators don't have a uniform temperature inside. Check the user manual for instructions on where to put meat, cheese, dairy, etc. If the problem area is a door shelf, you may want to adjust its position. Some side-by-side refrigerators (particularly older models) feature a vent that funnels cold air from the freezer into the fridge. This outlet is usually located on the wall that separates the fridge and freezer, and will likely blow freezing cold air all over everything around it. Relocate the shelves to avoid this cold air. So you've moved your food away from the vents but it's still freezing? The problem might still be the freezer. 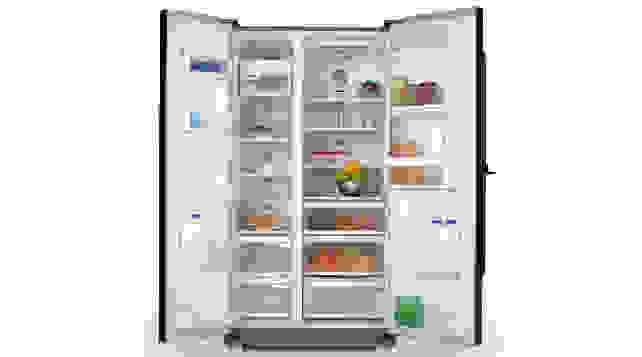 As mentioned, there are a lot of factors at play, one of which is your machine's freezer-orientation, and a bottom-freezer fridge may be particularly troubling. Remember from science class that heat rises, so the bottom section of the fridge is probably going to be the coldest. One solution is to turn up your freezer temperature settings, although you should be careful not to raise it too high. Anything north of 0°F will facilitate bacterial growth and accelerate food spoilage—yes, even in a freezer! Another option is to make sure that your ice maker is not constantly running. 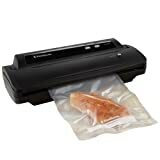 This could also make your freezer too cold and subsequently cause your refrigerated foods to freeze. This may seem like a dumb solution, but it's actually valid. GE explains how if the food at the bottom of your fridge keeps freezing, it could simply be because your fridge isn't fully packed. Refrigerators need to be well-stocked to absorb all of the cold air being vented into the cavity. If it is relatively empty, all of the cold air will sink to the bottom of the cavity and freeze your food. So just keep it filled! As an added bonus, a fully stocked fridge will help maintain temperatures—especially in the freezer—and, as a result, use less energy. This is good for your utility bill. A mostly empty fridge isn't just sad—it makes the internal temperature less stable. If you've done all of the above and your food is still freezing, then there is most likely a mechanical issue. From the thermostat to the damper to the control panel, there are a lot of parts that may be malfunctioning. Your best bet is to check if your fridge is still under warranty and to contact either the manufacturer or the retailer that sold it to you. They can send out a service representative to determine what's wrong with the fridge. If it's no longer under warranty, you'll need to contact your local appliance repairman. This article was originally published on August 04, 2015. The most recent updates include new information, new images, and new product recommendations.